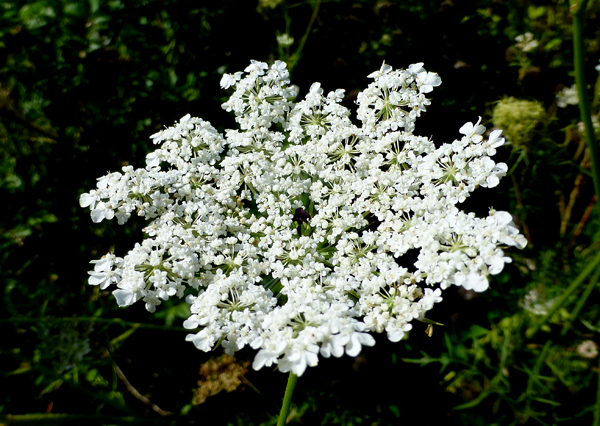 There were fields and fields of Queen Anne’s Lace wildflowers everywhere as we went for a hike at Fort Hill in Eastham on Cape Cod. They are such a pretty and delicate white wildflower. And then, as they go by, they shrivel up and turn almost inside out. 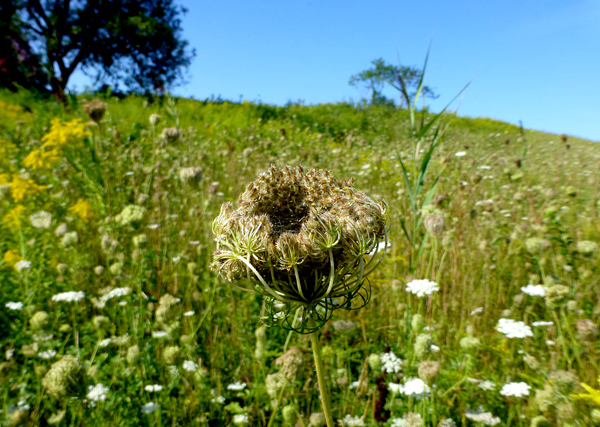 Have you ever seen Queen Anne’s Lace wildflowers? 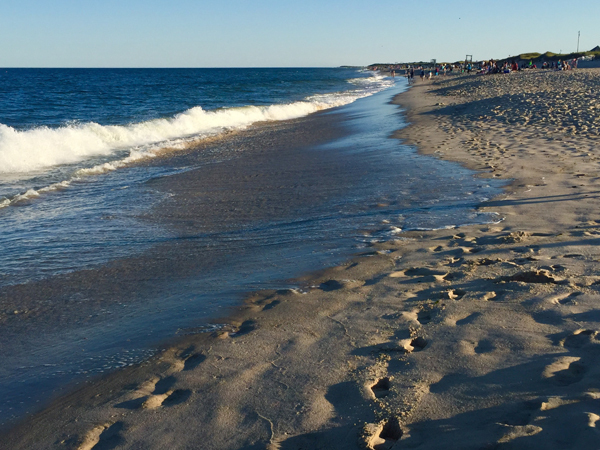 Nauset Beach on Cape Cod was just gorgeous on Labor Day weekend. What a beautiful place to take a walk after dinner. 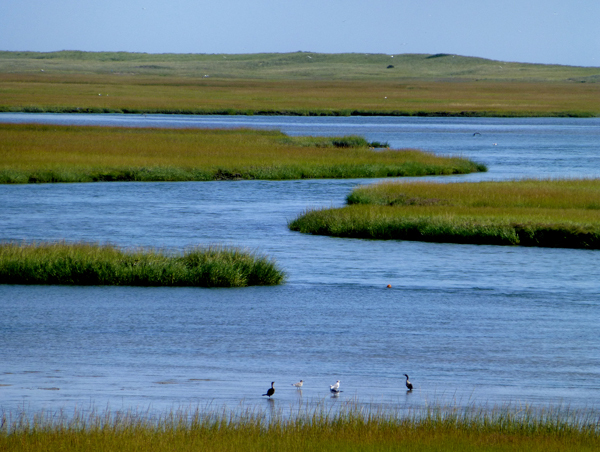 It seems like wherever you turn, you can see birds on Nauset Marsh on Cape Cod. This particular morning it was low tide and we could see the birds feeding along the shore. I loved their silhouettes. 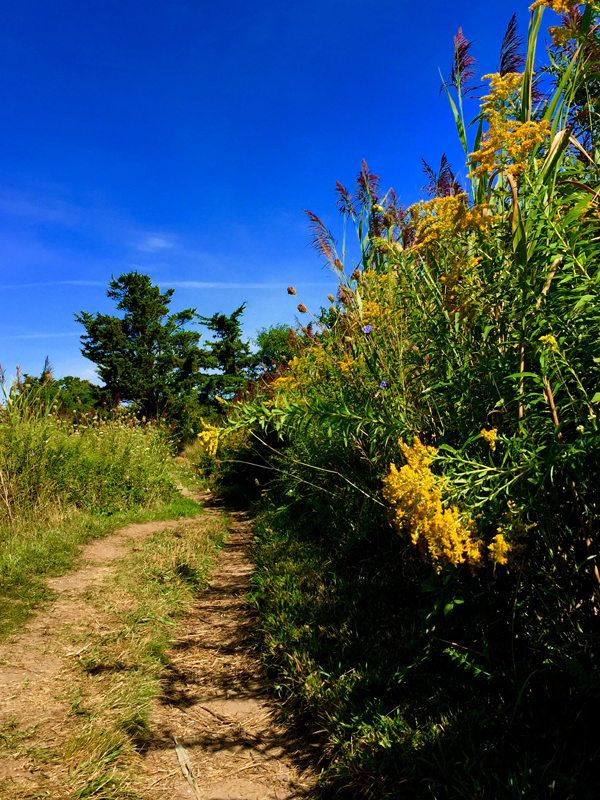 The hike out to Great Island in Wellfleet on Cape Cod is very diverse. 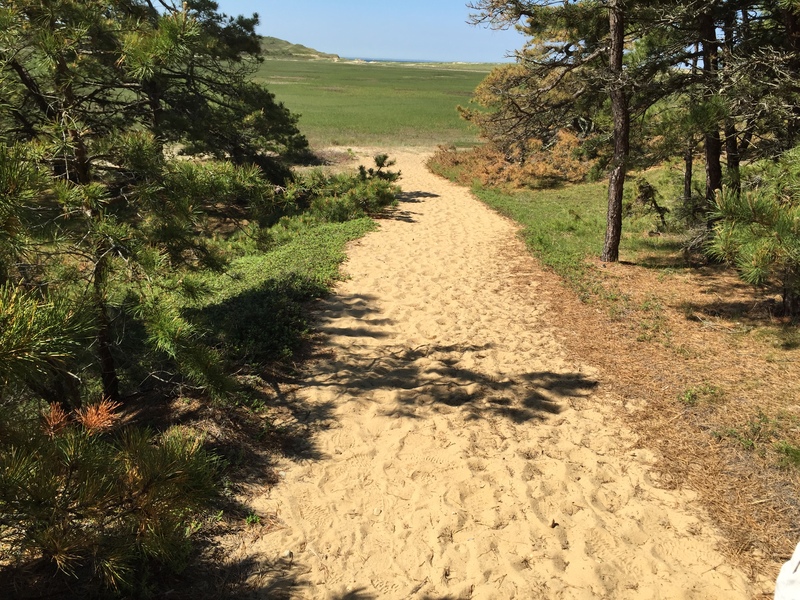 You hike on the marsh side of Wellfleet Bay, through the woods and then out on the expansive beaches. It is absolutely spectacular! 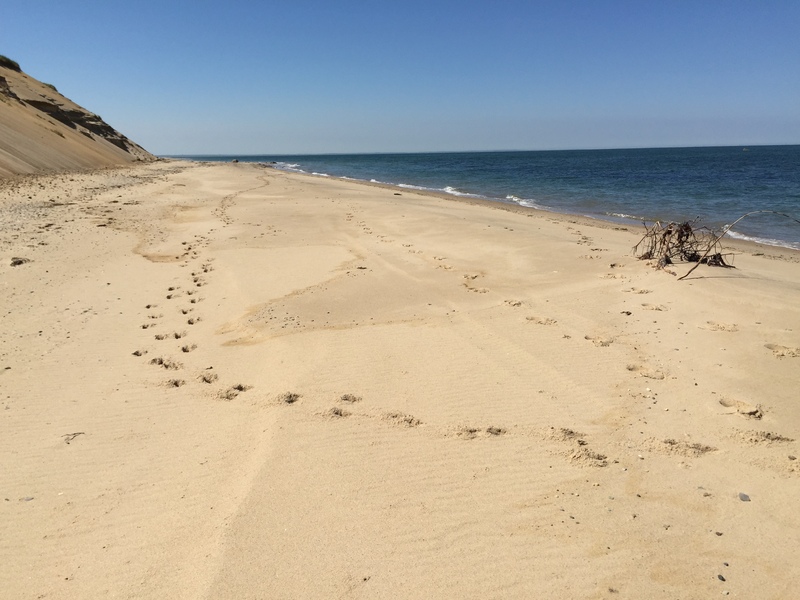 Have you ever hiked any part of Great Island in Wellfleet? 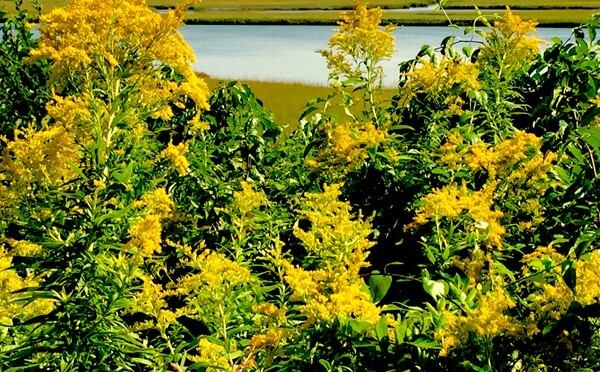 The Goldenrod wildflowers at Fort Hill in Eastham on Cape Cod are just beautiful! 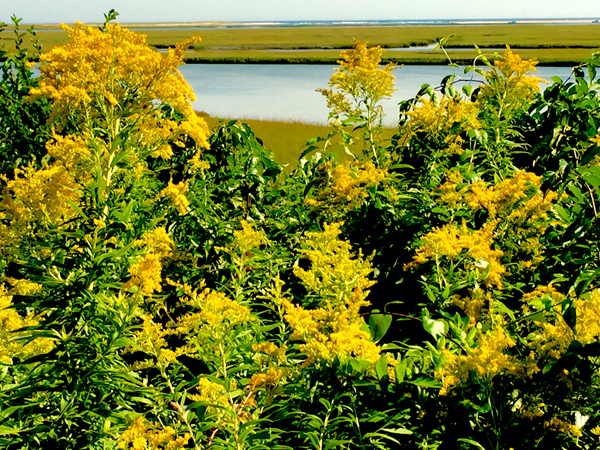 Take any hike down by the marshes and see the many different wildflowers! Jeremy Point Is One Unique And Beautiful Place On Cape Cod! 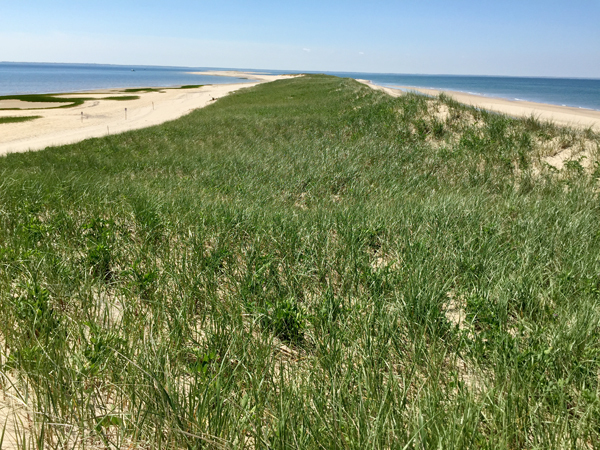 Hiking out to Jeremy Point on Cape Cod is a great hike and a great experience. I took this photograph as we got closer to the end of the hike, where you can see Jeremy Point in the distance. You can see Wellfleet Harbor on the left of the photograph and the Atlantic Ocean on the right. Pretty spectacular, don’t you think?